As you may have noticed, I have a bit of a collection of video game items. Carts, discs, consoles, controllers, even the occasional odd bit of merchandise like the Tetris Home Game and a Mario Kart Phone. No, really. I'm not making that up. No, really. I'm not making that up, either. 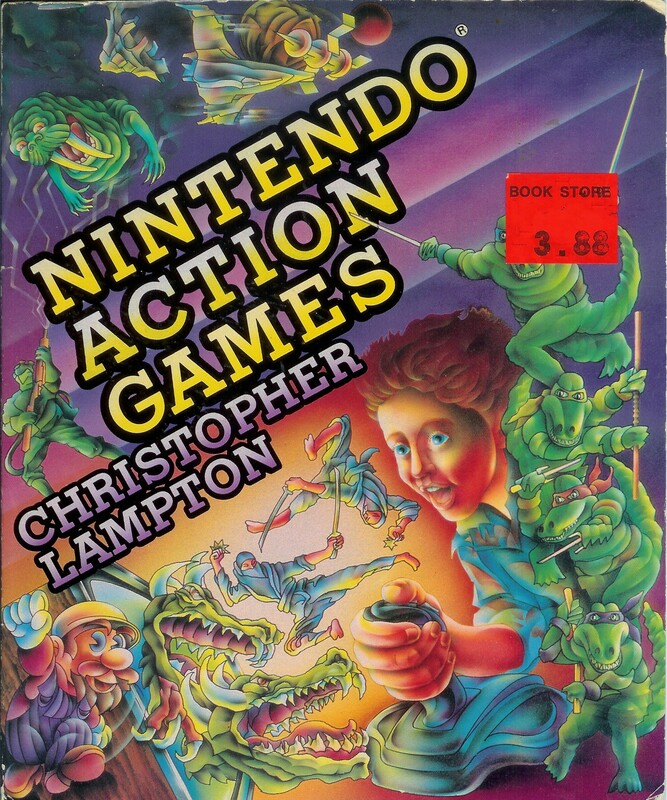 One book I stumbled upon recently has the most awesome cover ever. 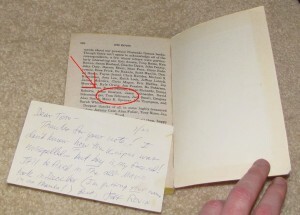 Most game guides from that age were unauthorized, so they stuck to plain text covers. 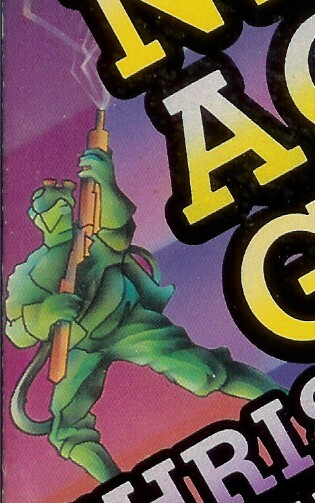 Those that had images tended to have generic game images (Like a cyborg fighting a dragon), because if they used a picture of Mario, Nintendo would sue them back into the Atari Age. 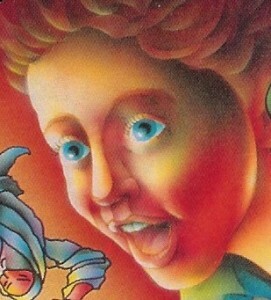 But this book took a different path. A staggeringly awesome path. I know! How about we start with the flying green thing in the upper left corner? HE SLIMED ME BECAUSE I STOLE HIS BUKKIT! 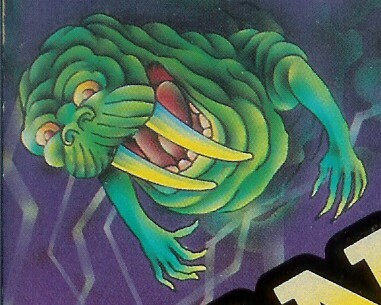 It’s Slimer from Ghostbusters… Crossed with a walrus. Because obviously a gluttonous blob of ectoplasm needs tusks. If there’s something weird and it don’t look good, who ya gonna call? MASTER CHIEF! Eh doesn’t afraid of no ghosts. The best part is that this book doesn’t even talk about Ghostbusters. That’s not one of the covered games. Moving to the lower left corner, we find a happy jumping dwarf. 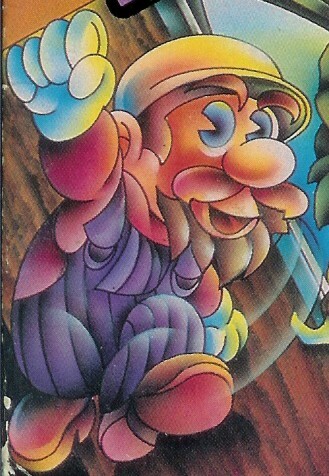 Apparently after the princess was kidnapped and subsequently rescued, Mario went into the Witness Protection Program, where he was given the ingenious disguise of frilly purple overalls, a yellow hard-hat, and facial hair. 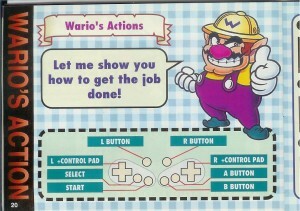 In other words… WARIO. 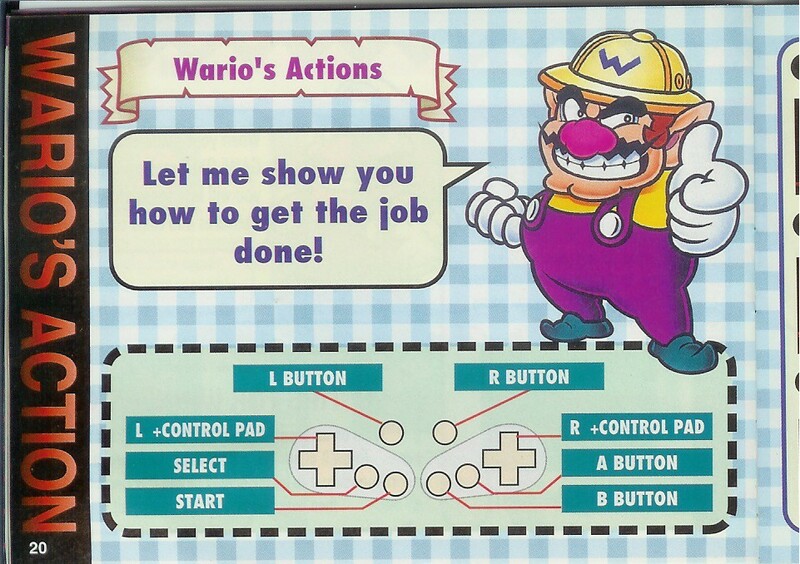 However, since this book was published before Wario came to town, I think the artist for this cover has a valid case for a lawsuit against Nintendo, since it was obviously their idea to subtly alter Mario to produce a different character first. 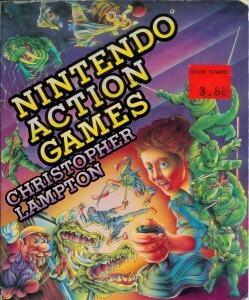 Now to the four characters on the right side of the cover. This is why I bought the book. It’s the Middle-aged Mutant Ninja Alligators! Little did you know, before he took to turtles, Splinter trained a group of overweight alligators to be a ninja fighting force. Unfortunately, they were captured by Shredder, who used them for his “Heroes in a Handbag” line of fine ladies wallets. No wonder that kid in the middle of all looks like he’s about to wretch. The inside of the book isn’t much better. From references to “Mario the carpenter” in SMB2 and the “Toe Clan” in TMNT, to helpful tidbits like advising you to “Use the pogo stick” in DuckTales or “Read the manual extra carefully” for SMB3, there’s not much in this book that will actually help you improve your game playing skills. However, there is one really useful piece of information that this book mentions: There is a companion book about Role-Playing Games.